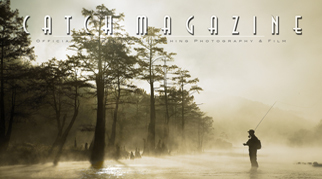 For those that love the online mags Catch Magazine has issue number #21 hot off the virtual press. It starts with an amazing image on the cover that looks like a painting. I learned within the mag, that you can buy this image for like five bucks. Bargain. There’s all sorts of stuff in here though, that you cannot place a value on. Get busy on it, get balls-deep on this magical ride of fly fishing photography.